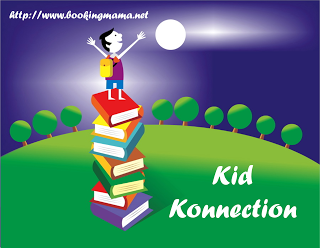 In 1997, when Caitlin’s teacher assigned them to write a letter to a student in another country, I don’t think either one of them would realize the life-changing effect one letter had on two families. Caitlin decided to choose a student in Zimbabwe because she didn’t know anything about that country. She wrote a very basic letter introducing herself, her family, and some of her hobbies and interests. She sent it off with anticipation of getting a letter back soon. 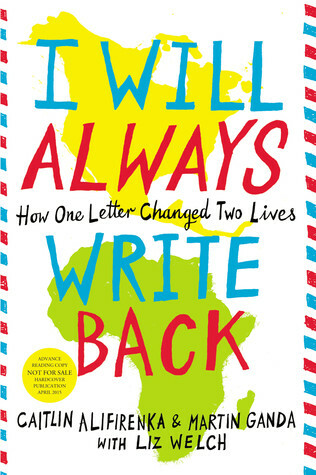 In a small classroom in Zimbabwe, a young boy was one of the few chosen to receive a pen pal letter. Martin was chosen because he was the smartest in his class. He was thrilled to receive a letter from America and couldn’t wait to show his family. As the weeks and months progress, Caitlin and Martin attempt to continue to remain pen pals. 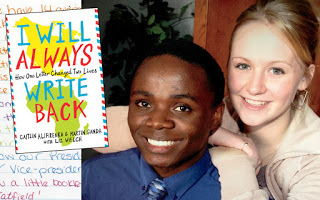 It isn’t a big deal for Caitlin to write and send letters, but due to Caitlin’s naivety about the hardships in Zimbabwe, she had no idea how difficult it was for Martin to write back to her. Caitlin’s letters asked for photos and wrote of a typical teenage American lifestyle like shopping, going to movies, and sleepovers with friends. Martin didn’t even have paper to write letters on and often used trash he found around the nearby town to write to her. He couldn’t afford stamps and would have to sell items on the streets or help tourists with their luggage just to afford stamps, even then, choosing that over food. When Martin’s family became so poor that they could no longer afford to pay for him to go to school, he decided to be truthful to Caitlin and her family about his situation. Caitlin began sending $20 bills in the mail not realizing that twenty American dollars could afford to send Martin to school for a month and feed his family for weeks. As his situation became more and more desperate, Caitlin’s family became more involved in the financial support of Martin’s schooling and efforts to get him to college in America. Even though this is a young adult book and at times, reads childishly, the story reiterates the concern in Martin’s voice about not being able to finish school, the hope that Caitlin and her family could solve the problems of a poor African student and his family, and the tenacity of a mom who just won’t give up. It’s a quick read and when there are so many roadblocks to Martin’s future, you keep reading to find out how he will be able to survive these hurdles. I think Americans have a difficult time imagining children in other countries living in conditions we would find deplorable, yet they accept it as absolutely normal. Martin’s family lived in one room. One room with his parents sleeping in a bed and the children sleeping on a dirt floor. During the monsoon season, rain would seep in through the thatched roof and under the walls and coat the floors in mud. No one in his family had ever had a pair of shoes and Martin wore the same uniform to school every day. Martin used the same toothbrush for seven years until Caitlin sent a package of items including a new toothbrush. Caitlin, making the choice to send her babysitting money to Martin, forever changed life for him and his family as well as herself. Her family saw Martin as their son and chose to make it their mission to get him to a college in the US. 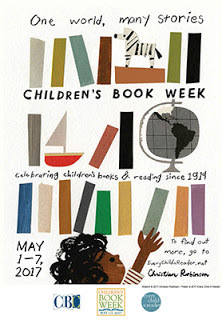 By sharing their story, it is their hope that those who read it can make small steps to make a difference in someone’s life as well. It may not be a huge change, but sharing kindness and generosity with others can be life-changing in even the smallest ways. 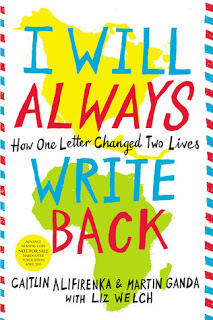 This collaborative memoir would make an excellent summer project for middle school students. Assigning the book and a pen pal could be just the motivation someone needs to make a difference. 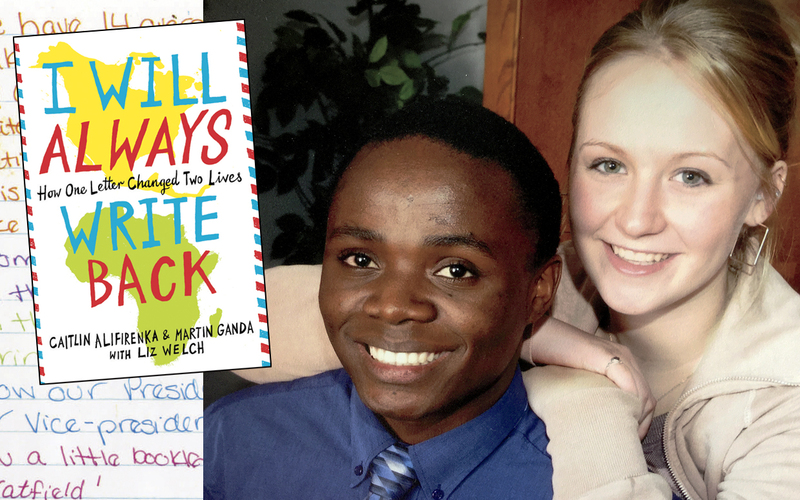 Caitlin Alifirenka and Martin Ganda met as pen pals in 1997 and are still best friends today. Caitlin, an ER nurse, lives outside Philadelphia with her husband and young daughters. Martin currently lives in New York. He has dual degrees in mathematics and economics from Villanova University and an MBA in finance from Duke University. Check out their website, HERE. You can also find them on Facebook, HERE. This review is my honest opinion. If you choose to purchase the book through the above link, I may receive a small commission without you having to pay a cent more for your purchase. Thanks for supporting SincerelyStacie.com.